Reginald Durant, Executive Director ♦ Contact me. Reginald Durant founded Back to Natives in 2005. He acquired his C-27 Contractor’s license on behalf of BTN in 2011 to design and install native landscapes – an endeavor that raised funds for BTN’s habitat restoration, service learning and environmental education programs. That landscape contractor’s license was inactivated in 2017, and Reginald subsequently activated his personal C-27 license # 1030584. He continues to perform consulting and landscape designs for Back to Natives Restoration, to directly fund BTN projects and programs. Now he separately functions as a landscape contractor, and this income assists Reginald in continuing to support BTN in a leadership role, while subsidizing some funding, when funding is not available. In 2011 Reginald also led the effort to establish the Back to Natives Nursery at Santiago Park. This 20,000 sq ft nursery provides BTN with plants for current restoration and landscape projects. Reginald was the chief landscape designer for the “Costa Mesa Green Home,” certified ‘Platinum’ by the US Green Building Council’s (USGBC) Leadership in Energy and Environmental Design (LEED®) for Homes Program. Reginald also provided the landscape design for “Project 319,” Living Green Homes’ first single-family residential development, one of the first of its kind in Orange County to earn the Build It Green, GreenPoint Rated designation. Reginald created the design for Maple/Occidental Park for the City of Santa Ana. Reginald was a guest designer and guest speaker at the Los Angeles Garden Show. Since 2010 he’s also been a guest designer and guest speaker at the Southern California Spring Garden Show at South Coast Plaza. Since 2010 he was a guest speaker at the Landscape Expo: Long Beach with his final year being 2018. Now he focuses his presentations, lectures and classes, specifically at the Back to Natives Nursery at Santiago Park, and other BTN venues for direct support of habitat restoration and environmental education offered by the organization. As the Grounds Coordinator at the Environmental Nature Center, Reginald developed the Orange County Native Butterfly House. But insists that butterfly houses cause more harm than good and encourages others to use habitat gardens and landscaping to increase butterfly awareness, provide butterfly education and habitat. Captive animals should be avoided at all costs, to help discourage others from capturing animals for their pleasure or amusement. Reginald also coordinated with the County of Orange, the Coastal Commission and the Department of Fish and Game to develop the Butterfly Habitat at the Peter and Mary Muth Interpretive Center at the Upper Newport Bay Ecological Reserve. Reginald founded the Land Steward Peer Network – a peer network for restoration ecology professionals – which includes members from County, State, Federal and non-profit organizations and agencies within and surrounding Orange County. 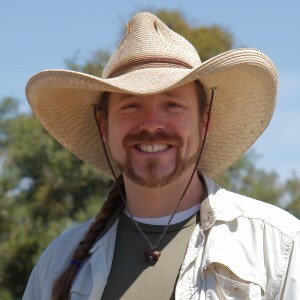 Reginald Durant has a BA from the University of California, Irvine, and he has completed the Ecological Restoration program from Saddleback College. He has been working in habitat interpretation and restoration in Southern California since 2003.